If you're a health nut, nutrient-dense arugula may be a staple in your daily meal plan. This leafy green vegetable, also known as rocket salad, garden rocket, or just plain rocket, is loaded with micronutrients. 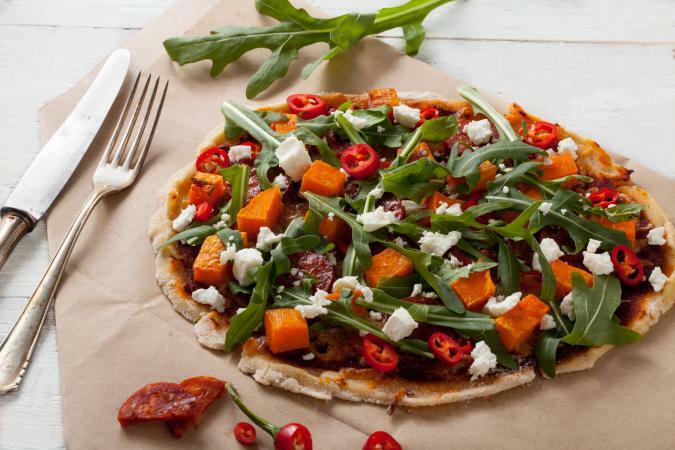 Arugula is a very low-calorie food, meaning it's the perfect addition to any healthy (or reduced-calorie) meal plan. While packed with nutrients, 1 cup of raw arugula leaves provides just 5 calories. So any time you add arugula to your menu, you can eat it guilt-free. Are There Actually Negative Calorie Foods? The majority of calories in arugula come from carbohydrates, but this leafy green is still a low-carb option. A cup of raw arugula provides you with just under 1 gram of carbs, including 1/3 gram of dietary fiber. While arugula does contain a small amount of protein, it isn't a significant source of protein or dietary fat. A 1-cup portion of arugula provides just 0.5 gram of protein and 0.1 gram of fat. While arugula doesn't provide you with a significant amount of calories and macronutrients, it's loaded with vitamins and minerals. This leafy green veggie is a source of calcium, potassium, folate, vitamin A, and vitamin K, so you can feel good about eating it on a daily basis. There are numerous ways to incorporate arugula into daily menus to reap its nutritional benefits. Try adding it to lasagnas, soups, salads, sandwiches, veggie burgers, omelets, pasta dishes, quinoa or couscous, pizzas and even smoothies!